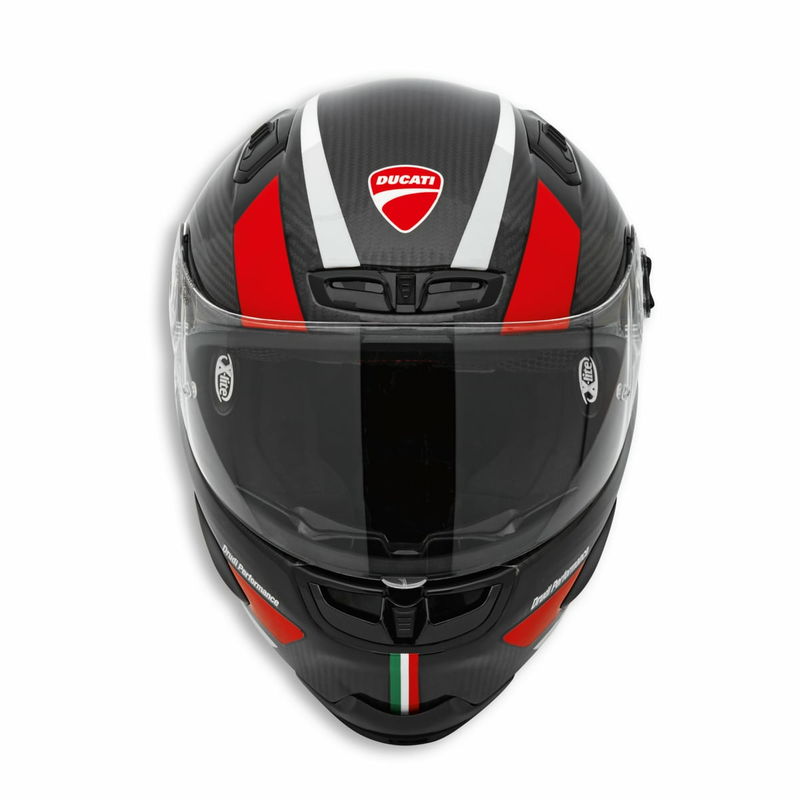 The new Speed Evo helmet produced by X-Lite is the full-face racing helmet with high levels of carbon content, dedicated to the Ducatista who loves sports riding and accepts no less than the best. The durable and lightweight external fiber shell is available in 3 sizes. 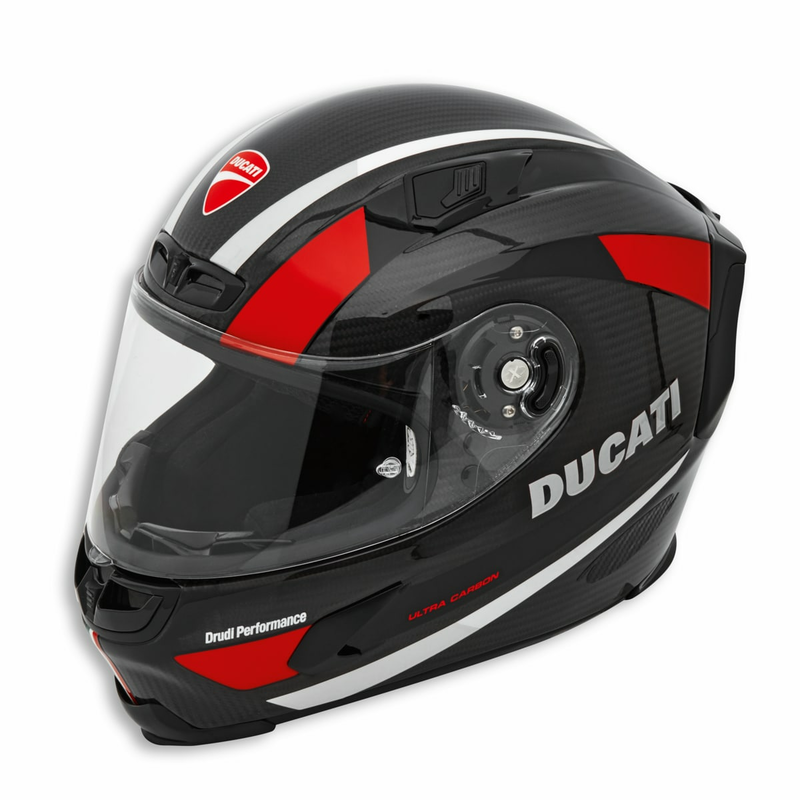 The wide field of view, thanks to increased lateral visibility, allows greater riding comfort. 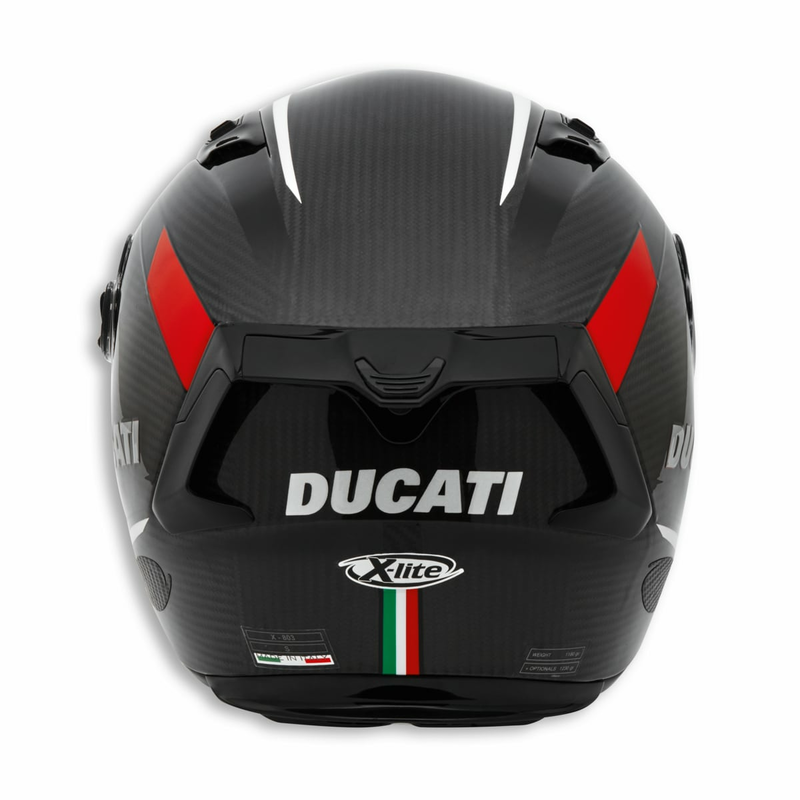 The superior aerodynamic performance of the helmet, wide and functional air intakes, and excellent static and dynamic comfort are just some of the features of this top-of-the-range helmet with eye-catching graphics made by Drudi Performance exclusively for Ducati. Single-piece cheek pads. The internal padding in expanded foam for the cheek pads has been designed in order to provide superior even pressure and consistent performance over time compared to traditional padding. It can also be removed from its fabric coverings in order to make washing of the latter easier. Pinlock® fog-resistant inner visor. Thanks to the exclusive patented adjusting system, the stretch of the Pinlock® inner visor can be adjusted, acting from the exterior of the visor, without the necessity for dismantling. Double action. Device allowing the visor lock (to prevent accidental visor opening at high speeds) or visor demisting at low speeds or stops (by a minimum visor opening). RACING AIR FLOW (RAF) ventilation system. The result of experience and testing in the wind tunnel and on track, it is made up of: indirect entry upper air intakes; a direct entry front air intake; a high flow rate chin guard intake with defogging function; a front protection with integrated aerodynamic vent; side air extractors; a rear extractor, integrated in an aerodynamic spoiler with adjustable profile (ASD – Adjustable Stability Device).